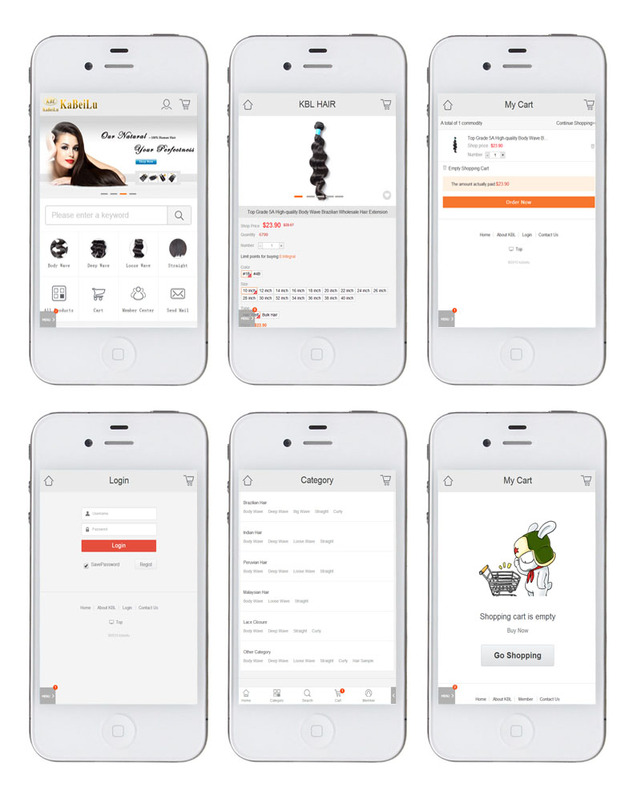 Please use mobile browsers to input website:http://www.kabeilu.com Pay attation to mobile website,see the new promotion activity in time,place your order in any time and where. Trial/Sample Order and order in stock will be shipped within 24 hours after payment arrive.Customized Order normally need 3-5 days. Hair will be washed clean before putting in package. Each bundle will be packed in PVC bag, labeled length, then put into DHL shipping bag or carton, depend on the quantity. Customized package is acceptable. We could provide label, hang-tag, logo design service.